Apple has announced its latest iPod touch, packed with incredible new features including Retina Display, A4 chip, FaceTime Video Calling, 3-axis gyro, iOS 4.1, HD Video Recording and Game Center. The Retina display has 960 x 640 pixels—four times as many pixels than before. The resulting 326 pixels per inch is so dense that the human eye is unable to distinguish individual pixels when iPod touch is held at a normal distance, making text, images and video look sharper, smoother and more realistic. With the new front-facing camera and mic, iPod touch users can make FaceTime video calls over Wi-Fi. Users can easily capture HD video wherever they are and share it via email, MobileMe and YouTube. With the iMovie app, users can combine movie clips, add dynamic transitions and themes and include photos and music right on their iPod touch. Apple’s A4 chip provides iPod touch users with exceptional processor and graphics performance along with long battery life. This remarkably fast and power-efficient chip, along with the Retina display and 3-axis gyro, makes games on iPod touch the best they’ve ever been on any mobile device. Now with Game Center, iPod touch users can challenge and play friends or be matched automatically with new opponents. 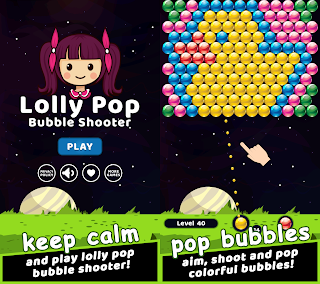 Game Center lets iPod touch users showcase their scores and achievements and discover new games their friends are playing. With the App Store on iPod touch, users have access to the world’s largest catalog of apps with over 250,000 apps, including over 65,000 game and entertainment titles to choosefrom the site. The new iPod touch comes with iOS 4.1, the newest version of the world’s most advanced mobile operating system. 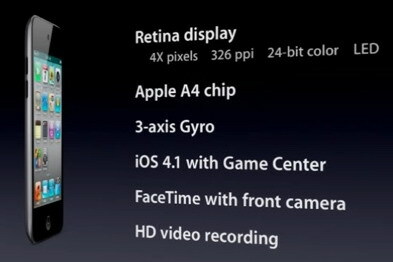 iOS 4.1 enables new features like FaceTime video calling, multitasking, folders and Game Center. The new iPod touch will be available next week for a suggested price of $229 (US) for the 8GB model, $299 (US) for the 32GB model and $399 (US) for the 64GB model through the Apple Store, Apple’s retail stores and Apple Authorized Resellers. 0 comments on "New Apple iPod touch - Retina Display, FaceTime, HD Video Recording and Game Center"